Did I cry listening to Andra Day and Stevie Wonder theologize about the future of Christmas? Not quite. But I probably should have. Because Stevie’s classic and Andra’s untouchable vocals provide a vision of hope not just for the Christmas season, but for the entire universe. They give us a glimpse into what is to come. Someday at Christmas, there will be a world restored. I just wish he hadn’t left out the most important piece of the puzzle. As a Christian, the season of Advent is about awaiting the coming of Christ the King. We oftentimes do a great job of remembering, and reflecting upon that first waiting, but sometimes we miss the fact that we are still waiting. Jesus Christ came to us that first Christmas as a babe lying in a manger. Fully God, yet fully man, he became incarnate so that he might set this world to rights. The immeasurable God coming as a helpless babe so that the whole world might be redeemed, renewed, and remade, through him. And when we fail to look up from our shopping lists, cookie recipes, and jam-packed calendars, we lose the power, the majesty, and the awe of what this season of Advent is all about. Because we aren’t just remembering something that happened 2000 years ago in a dark, dingy stable. We’re waiting, expectantly, for the return of our King. And this is what Stevie’s talking about. Well, sort of. In “Someday at Christmas” Stevie and Andra give us a cosmic vision of hope. Together they weave a tapestry depicting the future world put right. A Kingdom restored. Humans living as they ought. Justice. Peace. Joy. And this is where Stevie and I diverge. Because he sings of a Kingdom, but not of a King. He’s right, someday at Christmas there’ll be no tears, all people will be equal with nothing to fear. Someday at Christmas hate will be gone and love will prevail. Someday at Christmas we’ll have a new world that we can start with hope in every heart. But these things aren’t just going to happen. We’re not just going to arrive at this beautiful Christmas utopia due to the goodwill and progressive moralizing of the humans. It takes the King, descending to His kingdom, to set it all to rights. It takes the baby who was born in Bethlehem to return in glory to His people, to His dwelling place among them and wipe away every tear, comfort the afflicted, free the oppressed, bring judgment to the wicked, and restore this world as it was meant to be. Because left to our own devices we’ll remain trapped in the same cycles of oppression, despair, and fear that have plagued the human race since the beginning. But our King was so desperately burdened for his people that He became incarnate to meet us in our hopelessness and to renew His whole Kingdom. His love was so boundless that he took on the limits of humanity for the sake of our redemption. 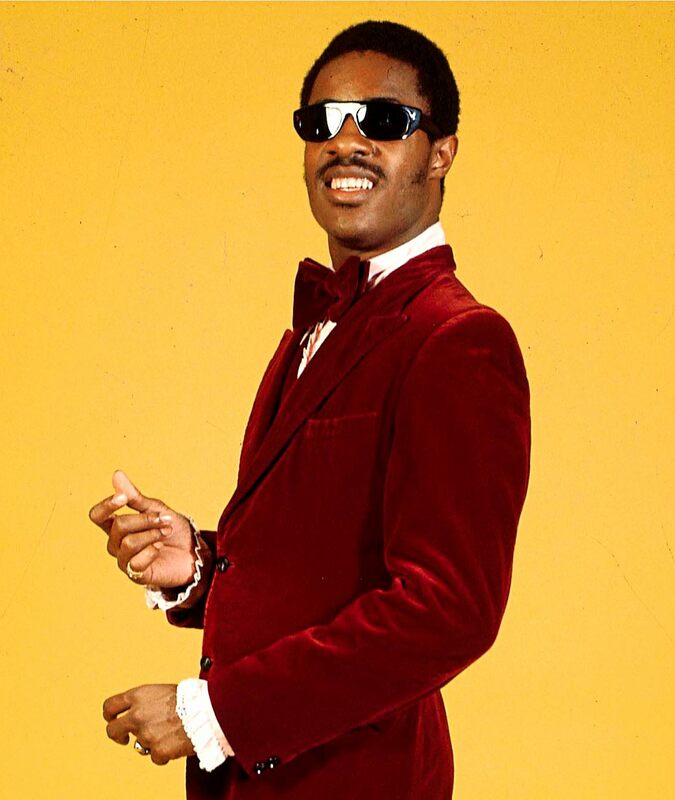 Stevie sings of a world where all our dreams will come true, but he aims too low. His vision is limited by the darkened glass of human frailty. We have a King who promises to do abundantly more than we could ask or imagine. We have a King who promises to return to His people and His Kingdom to bring about a renewal of our world, a uniting of Heaven and Earth, that will surpass even the wildest conjecture or imagination. The hope of Christmas is not just that something happened in Bethlehem. It’s that something is happening, and something incredible, unimaginable, is going to happen. So please, Andra and Stevie, keep singing. And forgive me if I get a little misty-eyed anticipating all that is yet to come.